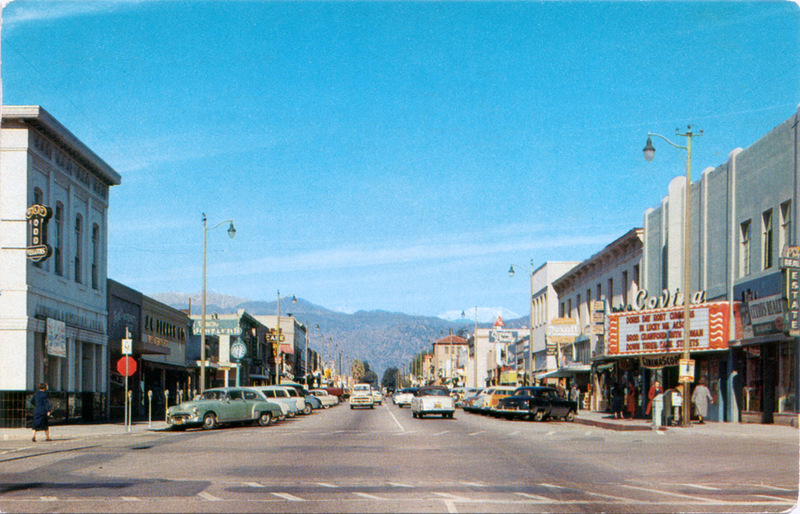 Postcard view of Citrus Avenue north from Badillo Street in Covina, California, in Fall, 1954. I can peg the date because both films on the Covina Theater's marquee are from 1954, and the later of the two - 'Down Three Dark Streets' - was released on Sep. 2. It might be as late as early November, though, because of the snow in the mountains and the ladies wearing winter coats. It can't be after Thanksgiving, however, otherwise Citrus would be decked out in its Christmas decorations!